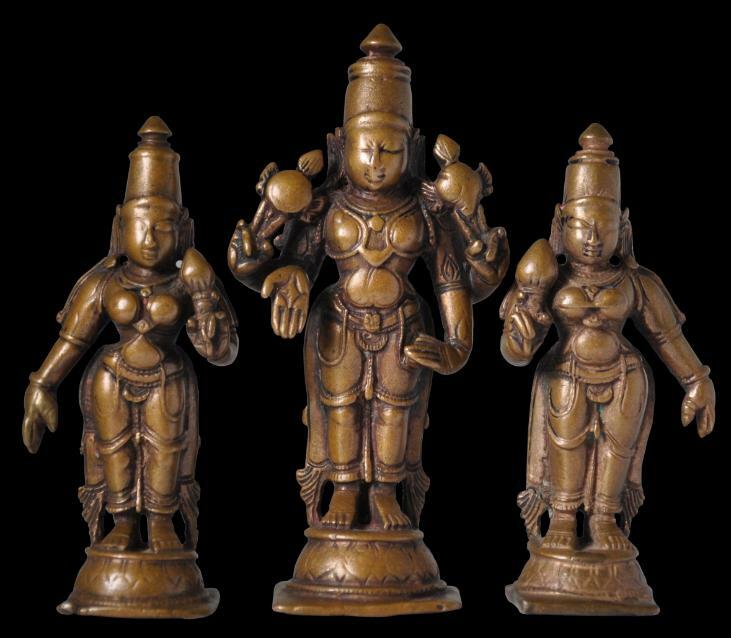 The important aspect of this Vishnu trio is that it is complete. Rarely are complete sets encountered nowadays; the pieces tend to become separated from one another. 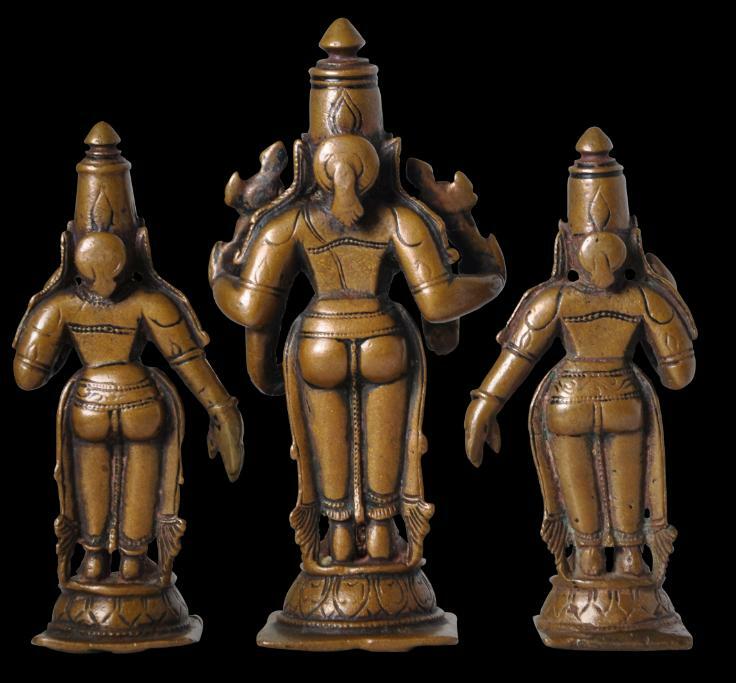 The trio shows Vishnu and his two consorts Bhu Devi and Sri Devi. It was cast in south India, most probably in the 17th or 18th century. chakra and a sankha in his secondary arms and his principal arms are in varada, by his side. He wears various body ornaments, a striped dhoti with prominent, flowing ribbons and a tall crown. His consorts are similarly attired. The trio would have adorned the altar in a private family home.